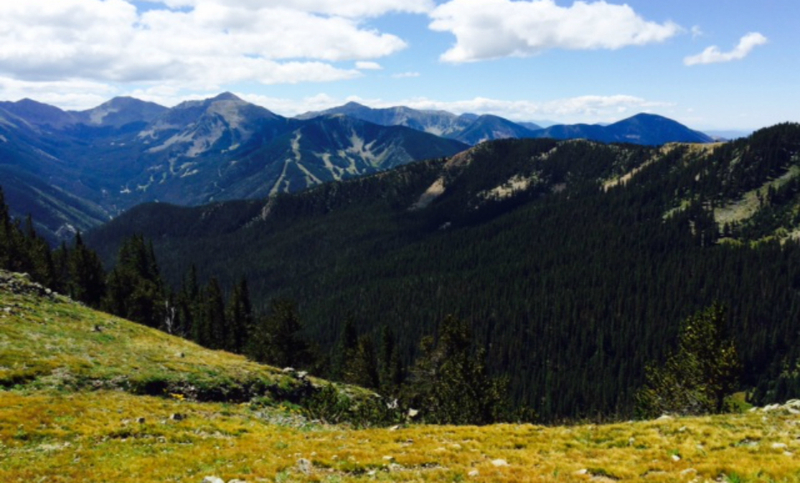 Taos Properties has a large selection of available land for sale in the Taos area. Described below is the history and the many types of land available. The broad expanse of the Taos Valley is named for Taos Pueblo, the native-American settlement that has anchored life in this valley at the base of Taos Mountain, for over a thousand years. Some of the best views of the Taos valley are from the rest stop along highway 68 coming up from Espanola. It is the ideal place to pause and take in the incredible vista of this beautiful land we call home. Just after the highway emerges out the canyon from Pilar, pull over to the right and grab your camera. To the west Taos valley is bounded by the sharp and dramatic gash of the Rio Grande Gorge; to the north and east is towering Taos Mountain and its foothills with the rocky cliffs sharp edges of El Salto clearly visible; to the east are the wooded mountains of the Sangre de Cristo range; to the west and in the foreground (the south) is the sea of sage. 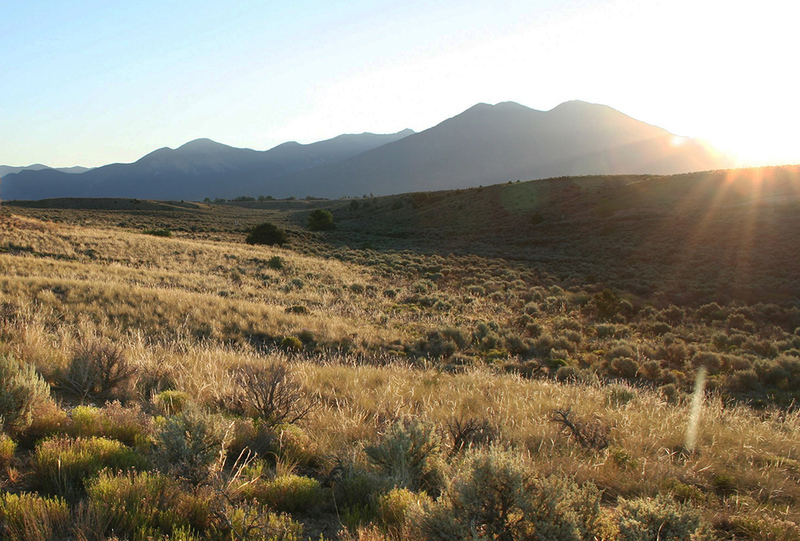 While the valley is indeed expansive just 38% of the land in Taos County is privately owned. And as one gets close to town that percentage becomes smaller mainly because of our proximity to land owned by Taos Pueblo, the Carson National Forest and the BLM. This scarcity of available land coupled with the need for water in our high desert environment, underpins and drives the value of land in the Taos Valley. People have thrived in this valley for ages but, life has not always been easy. The high desert of Taos Valley ranges in elevation from about 5000 feet near the gorge, to about 9000 feet at the Ski Valley. Along the way life and where it is lived has always been governed by water. In olden times life clung to places that had easy water--springs, streams, creeks and rivers and finally in more recent times, wells. Land in the Taos Valley can be generally grouped into four main types. Valley Land - These are the old parts of town and they typically hug the mountains to the north and east or hug the creeks and rivers . Land here is lush with meadows and stands of cottonwoods and lots of willow. In the spring there are huge fields of wild iris; in the fall its sunflowers and asters. High Desert Sage - This is the land that forms the board alluvial plains away from the creeks and rivers. It is most plentiful to the west and the south as you leave the mountains. 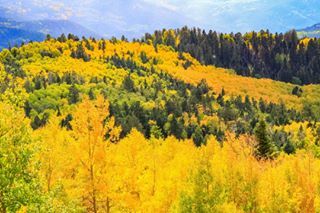 It is characterized by dry creeks (or arroyos) small plateaus (or mesas) and very few trees to obstruct the long vistas and gorgeous sunsets that Taos is known for. Mountain Land - This is land that occupies the higher elevations to the east and north. To the east in the Sangre de Cristo foothills it is characterized by pinon-juniper and rolling hills striated with dry creeks (or arroyos). To the north and around the Ski Valley it is lush with willow, mountain cottonwood and aspen. Some parts will require four wheel drive come winter. Land In Town - Land in town tends to be small parcels snugly situated between existing development. Taos Town has zoning laws that govern both type of development and density of development. In town land is typically serviced by town services, water, sewer, trash removal and thus can accommodate denser development than land in the county. your piece of the land we call Taos.